Many sports, particularly ones popular in the winter like skiing, snowboarding and ice skating, require a lot of equipment. For many fathers buying this equipment just doesn’t fit into the family budget, especially since kids can outgrow their gear – and need new things – before the season is over. But there are ways to save money on all of the sports things your kids need. A great way to outfit your child for his or her favorite sport without spending too much money is to consider buying used things. Websites like eBay or Craigslist make it easy to find equipment for any kind of sport. Used sports equipment stores like Play It Again Sports also make it easy to find exactly what you’re looking for at a reasonable price. The franchise chain has more than 350 retail stores nationwide where fathers can not only buy things, but trade-in their kids’ outgrown equipment. The stores also take advantage of overstocks and closeouts to offer their customers new items at greatly discounted prices. 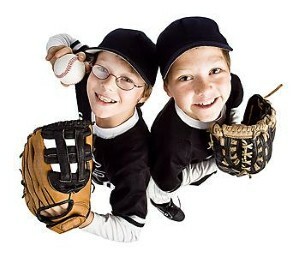 Websites like Overstock.com as well as larger sporting goods stores offer new, brand name equipment at low prices. Consider signing up for customer rewards programs at a chain store to be the first to know about sales and to receive valuable coupons. And, don’t forget that shopping "off season" is a great way to save money. For example, look for after season sales for things like skis, snowboards and winter apparel to buy in advance for next year.